Installation of Optidrive™ variable frequency drives to control refrigeration compressors can significantly reduce energy consumption. 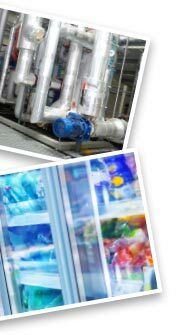 Compressors are used in a wide range of HVAC-R systems, providing cooled liquid or gases for industrial, commercial & food retail applications. 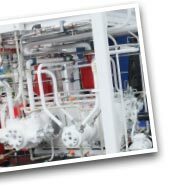 In the past, this was delivered by running the compressor at full speed, to meet the load demand, and then turning it off when the desired cooling or pressure had been reached. This method of “on-off” control is still used today but is very inefficient. The introduction of AC variable frequency drive technology allows the user to vary the output capacity of the compressor by changing the speed to match the changing system demand. This provides improved system stability, extended compressor life, and lower energy costs. Cooling capacity can be increased on a fixed speed compressor simply by installing an Optidrive™ variable frequency drive. The Optidrive™ allows maximum output speed of the compressor to be increased from 50Hz to 60Hz. Compressor output capacity increases proportionally to output speed so moving from 50Hz to 60Hz creates an additional cooling capacity of 20% – for free. If the compressor being controlled by the variable frequency drive is the lead compressor on a rack system then this increased cooling capacity means the second fixed speed compressor on the rack is required to operate less often. This results in lower energy costs, and extended compressor life. 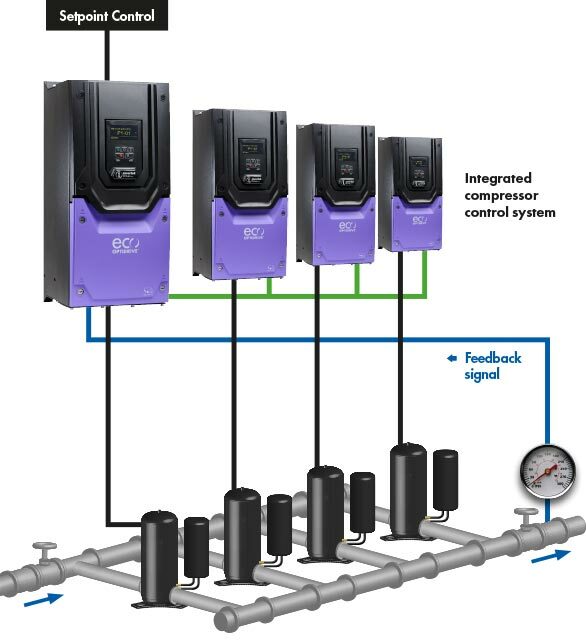 Optidrive™ variable frequency drives provide a cost effective, energy efficient solution to directly control the output capacity of the compressor to match the changing system demand. It can be supplied enclosed to IP20, for OEMs to install in their electrical control panel, or IP66, ideal for retrofit applications. This allows the contractor and installer to mount Optidrive™ on the wall, inside the electrical switch room, or directly on the compressor rack. This eliminates the need for an electrical control panel.